Round Island Challenge: It sure took a while, but we finally made it around the island of Jersey. Well that was certainly an adventure: 7 hours, 19 minutes and 1 broken body later, I (finally) crossed the line to complete the 2017 Jersey Round Island Challenge late on Sunday afternoon. 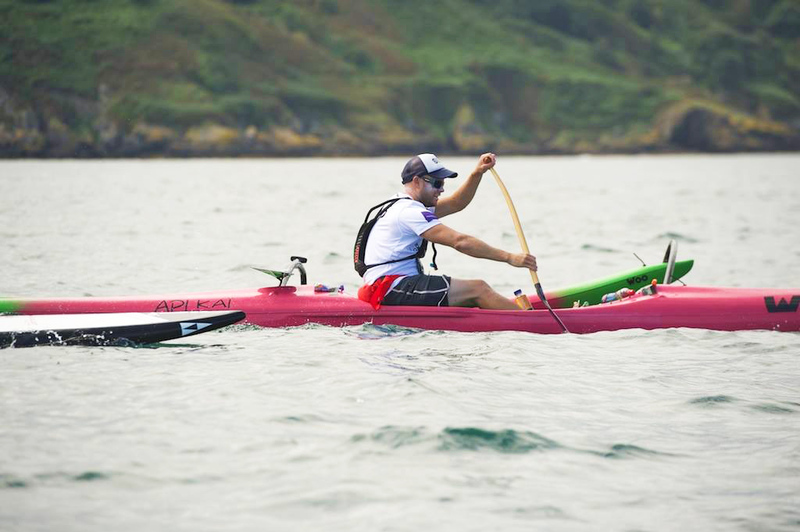 Massive thanks to all the organisers and volunteers for putting on such a great challenge – a mammoth, 32-mile odyssey designed to raise money for the Grace Crocker Family Support Foundation – and to all the local paddlers for making it such a fun adventure (plus a special thank you to everyone that followed my saga of an Instagram story during the race!). Congratulations to PJ Simmons and Marie Buchanan for blitzing it on the time sheet (PJ went sub-six hours). Stay tuned for a full recap of this great event tomorrow, and pencil it in on your calendar for next season: September 1st, 2018. Follow the Jersey Round Island Challenge on Facebook for more updates.